New hero characters, new vehicles, new planets, and an added single-player chapter will be coming to Battlefront II in December near the release of Star Wars: The Last Jedi. 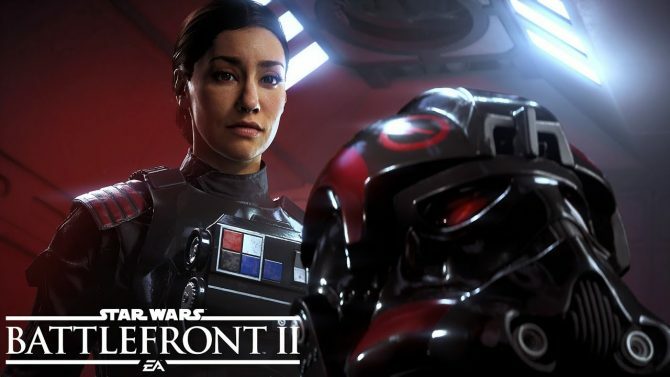 One of the more surprising announcements during EA Play earlier this year was that DICE would be forgoing a season pass for Star Wars Battlefront II and would instead be releasing free new downloadable content for the game over the entirety of its lifespan. Today, we received our first look at just what this additional content will be in addition to knowing when it will arrive. 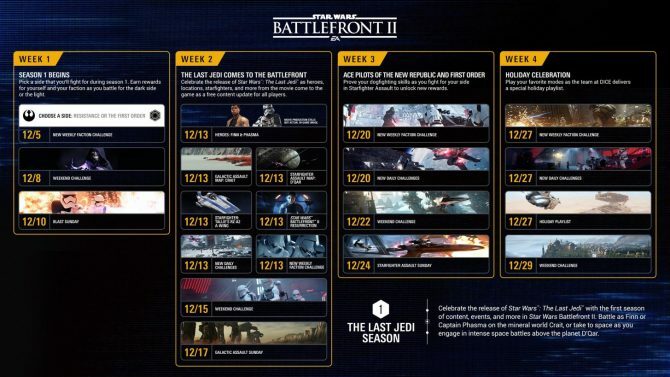 The upcoming slate of DLC that will be releasing centers around the newest Star Wars film The Last Jedi. 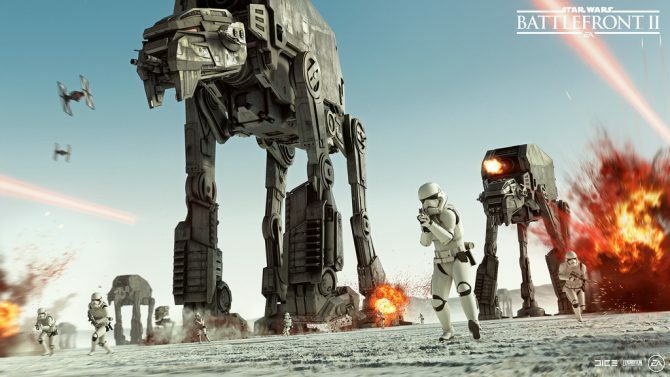 As such, most of the new content is related to the First Order and Resistance conflict that is portrayed in the new trilogy of films. Players will even be allowed to choose one of these two sides to participate in battles that could benefit your specific faction of choice. Things kick into high gear on December 13. Your favorite stormtrooper-turned-hero Finn joins the fight for the Resistance and Captain Phasma steps on to the Battlefront for the First Order. They can be purchased with in-game Credits that week. Whichever faction is victorious in completing the most challenges that week will net a reward as well: a special Crate of high-power upgrades for Finn or Captain Phasma. New locations and vehicles will also arrive. On December 13, the cinematic content from Star Wars: The Last Jedi continues with a new planetary map: Crait. The Starfighter Assault map of D’qar will join as well, plus a new hero ship – Tallie Lintra’s RZ-2 A-wing. Poe Dameron’s T-70 X-wing is also upgraded with a new ability inspired by Star Wars: The Last Jedi. Iden Versio returns. In Star Wars Battlefront II Resurrection, you’ll join Commander Iden Versio during the days of the First Order’s rise to power. This all new chapter of Star Wars Battlefront II’s single-player story mode will be available December 13. Your choice of faction will continue to matter. Throughout December, you’ll see your chosen faction’s progress reflected in-game, as you fight alongside allies from around the world to swing the tide of battle. Some of this content was already known to be coming to Battlefront II — the addition of Finn and Captain Phasma — the new locations and vehicles are definitely welcome additions. 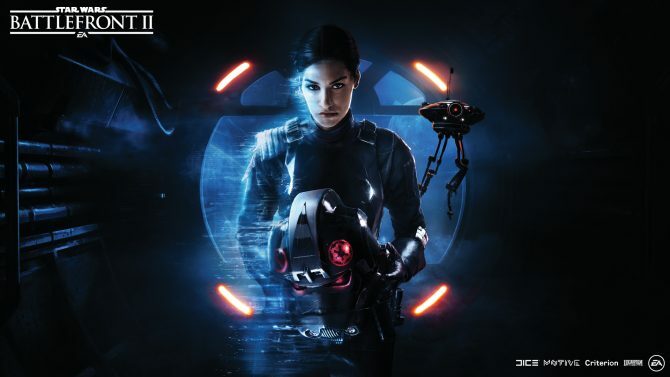 What’s most surprising about this content however is that we will be receiving a new chapter diving into the story of Iden Versio with Star Wars Battlefront II Resurrection. 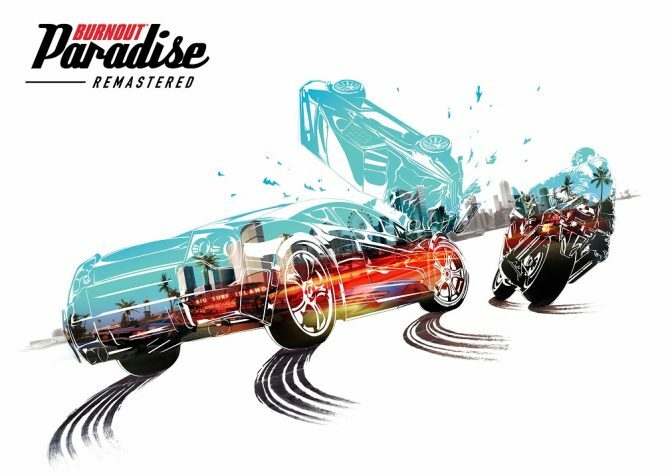 While we knew that free new content would be coming to the game’s multiplayer over time, we didn’t expect to receive new single-player DLC. For more on Battlefront II, be sure to check out our recent article diving into the ins and outs of the game’s new overhauled progression system. Our further impressions and full review of Battlefront II will arrive next week near the game’s release on November 17, so be sure to check back in around that time.